P&S Contractors - Fascia/Soffits/Guttering, Roofer, Windows/Doors/Conservatories based in Gerrards Cross, Buckinghamshire. Welcome to P&S Contractors Checkatrade Page. 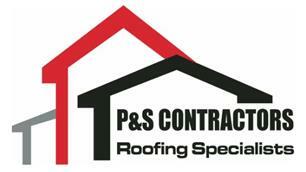 P&S Contractors are a family run business that carry out all types of roofing works. We have been working in the roofing industry for the past 29 years and have the skills to carry out anything from replacement of a tile to a complete new roof. We have endless experience in the trade and take pride in the work we carry out. We are Buckinghamshire Trading Standards Approved. We offer a wide and extensive range of skills and services in the roofing industry. We also provide work for the following roofing areas. We are fully insured and all our work is guaranteed. We only use the highest quality products using only the most skilled workers. Small domestic work &Large commercial jobs. No payment or deposit, payment on completion of the work and customer satisfaction. We are a friendly and reliable family run business. Taking great pride in the work we carry out. We won’t leave a job until ourselves and the customer are 100% satisfied with the work carried out. Please feel free to browse our feedback and see how our previous happy customers rate us. We let our feedback speak for itself. Please text us, call us or drop us an email. Thank you for visiting the P&S Contractors Checkatrade page. I hope you feel assured to use us. Buckinghamshire, Berkshire, Middlesex, Hertfordshire, London and all surrounding areas.